Bass -the locations where they are stocked or their natural habits. The camping at most of these places, like the dams. Bream- because they can be caught regardless of the season. And the locations are easily accessible wether from the river at my front door to the many waterways on the coast. Whiting- they are a great surface bite-fun! 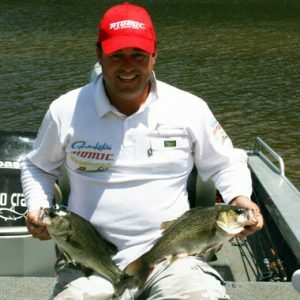 atomic metalz- easy to fish deep or shallow. They have various tow points which make it a great all round lure from shallow to deep vertical jigging. 5. How long have you been tournament fishing for? 9 years now. Mainly the bass pro and bass electric.